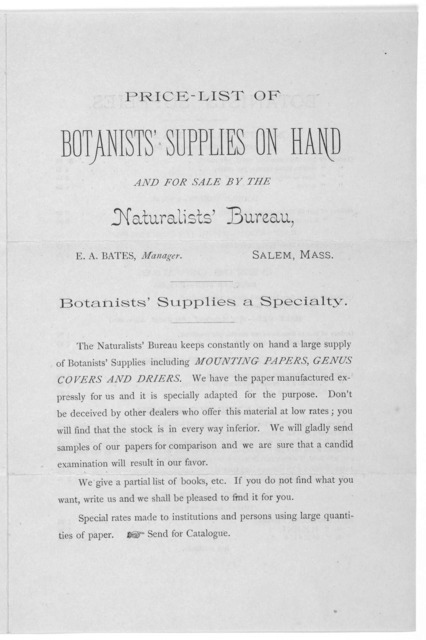 Price-list of botanists' supplies on hand and for sale by the Naturalists' Bureau. E. A. Bate, manager. Salem, Mass. ... [n. d.].